Mpho Monama graduated with a Bachelor of Law (LLB) degree from the University of North West in 2008. She completed her Practical Legal Training in 2009 and in 2016 completed a Certificate in Medical Law at the Law Society of South Africa. 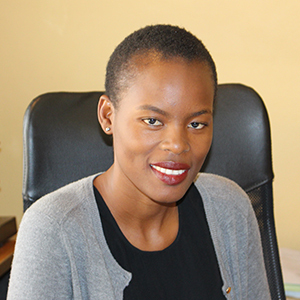 Following her graduation, she started her career as a candidate attorney at SM Mookeletsi Attorneys. In August 2011 she was admitted as an attorney. She later joined Mabalane Seobe Incorporated as an attorney, her duties included representing clients in civil, labour and divorce matters. Advising various municipalities in the Free State province regarding labour matters. In November 2012 she joined Ramothello Raynard and Tsotetsi Incorporated, this is where she continued to hone her legal expertise.She later joined the Road Accident Fund in 2014 as a legal cost officer, her duties included negotiating settlements of bills of costs and fee analysis. Prior to joining Mphela and Associates, she served as a legal cost consultant and an attorney at Maponya Incorporated. Her key responsibilities included drafting attorney and client bills negotiating settlements for party and party bills of costs for the RAF and other clients. She joined Mphela and Associates in July 2017 as a legal cost consultant, her responsibilities include drafting of attorney and client, party and party bill of costs, financial and cost management.